Today I’m going to talk about the best practices checklist we use in house for our day to day email marketing. Email marketing is a big deal within my business. Email is my primary marketing vehicle. In spite of the fact that email deliverability has become more difficult, emailing your list is still the most potent and effective marketing tool. Be that as it may, the use of “best practices” will help ensure that every email stands the best chance of hitting its intended mark. 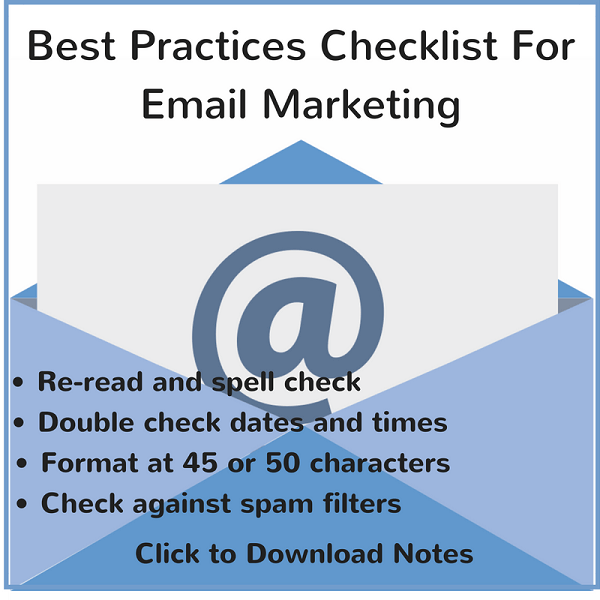 Accordingly, what follows is a checklist designed to be used before sending any email.